If you're not following YouTube sensation Amanda Cerny on Instagram then we have to say, you're missing out some hilarious content! 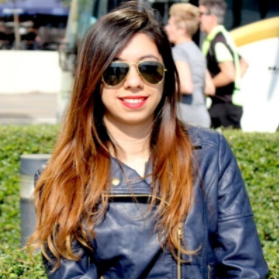 The social media influencer has about 24 million Instagram followers and over 2.5 million YouTube subscribers. She has directed, written and produced more than 3,000 comedic skits and music videos featuring actors and top chart musicians. Amanda has also worked as a model for various brand and is a fitness guru! She's been the talk of the town lately because she's been invited to India for the YouTube FanFest. 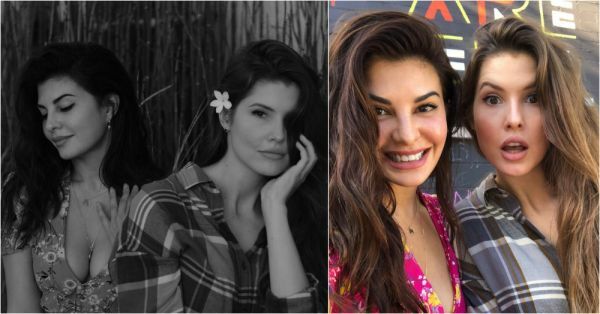 The buzz picked up after Jacqueline Fernandez took to her Instagram handle to share a collage with Amanda saying "@amandacerny I think it’s about time you came visited me in Mumbai!! 🦋"
Don't they look alike? Doppelganger alert! Later Amanda took to her Instagram profile to share a picture of her in the aircraft with the caption "Bet you can’t guess why I'm so excited right now !!!! 🇮🇳💃🏻😆"
Jacqueline and YouTube star Bhuvan Bam commented on the picture. Amanda also shared an Instagram story once she landed in Mumbai. In September last year, Jacqueline and Amanda's pictures from their meeting went viral, where they were seen having a gala time together. They captioned the photo album: "We are convinced we have been separated at birth!!! @amandacerny." Earlier, Anushka was impressed by her doppelganger, American singer Julia Michaels. She had replied to her collage with the lookalike saying, "OMG YES!! I’ve been looking for you and the remaining 5 of our doppelgangers all my life."